What would be the effect of this, if it should ever be the creed of a dominant party in the nation? Let us analyze, and consider it. It affirms that, whatever the Supreme Court may decide as to the constitutional restriction on the power of a territorial Legislature, in regard, in regard to slavery to the territory, must be obeyed, and enforced by all the departments of the federal government. 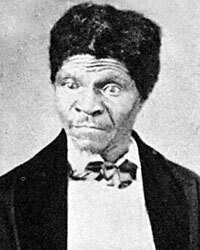 According Douglas biographer Damon Wells , Senator Douglas “was quick to see that the Supreme Court had not really spelled out just what a territory could or could not do to encourage or discourage slavery…Far from causing Douglas to surrender his belief in popular sovereignty, the Dred Scott decision made him cling to his pet doctrine all the harder and started him on the tortuous course of trying to adapt it to the changed legal climate.”14 Mr. Lincoln not only excoriated the decision, he also excoriated Senator Douglas for supporting it. “The Hon. Ab. Lincoln opened his great speech here a few minutes after eight o’clock p.m., in the hall of the House of Representatives. His speech was an answer to Senator Douglas. The hall was filled comfortably full, and the intense interest with which Republicans, the Bogus Democracy and others listened to every sentence – every word – testifies to the abiding interest felt in the subject and to the power of logical truths – truths welded together by the power of logic. There was no rant – no fustian – no bombast, but there was something in it of more force and power than these; the heart felt, and he gave utterance to the heart inspirations, clothed in the eternal maxims of the purest reasons. Mr. Lincoln divided his subject into three heads. Edward J. Kempf, Abraham Lincoln’s Philosophy of Common Sense: An Analytical Biography of a Great Mind, p. 502. 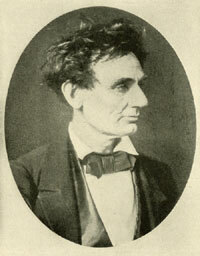 Isaac N. Arnold, The Life of Abraham Lincoln, p. 131. William H. Rehnquist, All the Laws but One: Civil Liberties in Wartime , All the Laws but One: Civil Liberties in Wartime, p. 29. John G. Nicolay and John Hay, Abraham Lincoln: A History, Volume II, p. 67. 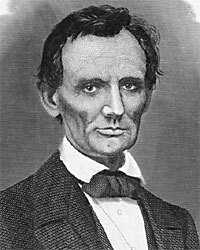 John G. Nicolay and John Hay, Abraham Lincoln: A History, Volume II, p. 71. John G. Nicolay and John Hay, Abraham Lincoln: A History, Volume II, p. 74-75. Richard H. Sewell, Ballots for Freedom: Antislavery Politics in the United States, 1837-1860, p. 60. William and Bruce Catton, Two Roads to Sumter, p. 138. William H. Rehnquist, All the Laws but One: Civil Liberties in Wartime , All the Laws but One: Civil Liberties in Wartime, p. 30. Benjamin P. Thomas, Abraham Lincoln, p. 173. Kenneth J. Winkle, The Young Eagle: The Rise of Abraham Lincoln, . Damon Wells, Stephen Douglas: The Last Years, 1857-1861, p. 114. Roy P. Basler, editor, The Collected Works of Abraham Lincoln, Volume II, p. 388 (January 1857). Herbert Mitgang, editor, Lincoln as They Saw Him, p. 85-86 (Chicago Tribune, June 27, 1857). Herbert Mitgang, editor, Lincoln as They Saw Him, p. 86 (Chicago Tribune, June 27, 1857). Herbert Mitgang, editor, Lincoln as They Saw Him, p. 83-84 (New York Tribune, June 30, 1857). Herbert Mitgang, editor, Lincoln as They Saw Him, p. 84-85 (New York Tribune, June 30, 1857). Albert J. Beveridge, Abraham Lincoln, 1809-1858, Volume II, p. 517. Philip B. Kunhardt, Jr., A New Birth of Freedom: Lincoln at Gettysburg, p. 145. Robert W. Johannsen, Stephen A. Douglas, p. 573. Gerald M. Capers, Stephen A. Douglas Defender of the Union, p. 151-152. Robert W. Johannsen, Stephen A. Douglas, p. 574.